One of the reasons I haven’t been writing as many posts about how to become a better blogger is because there are approximately 1,983.873 posts about how to do so and 99% of them are poorly written. Confession: I don’t have a clue how many posts have been written about how to become a better blogger or what percentage of them are poorly written. 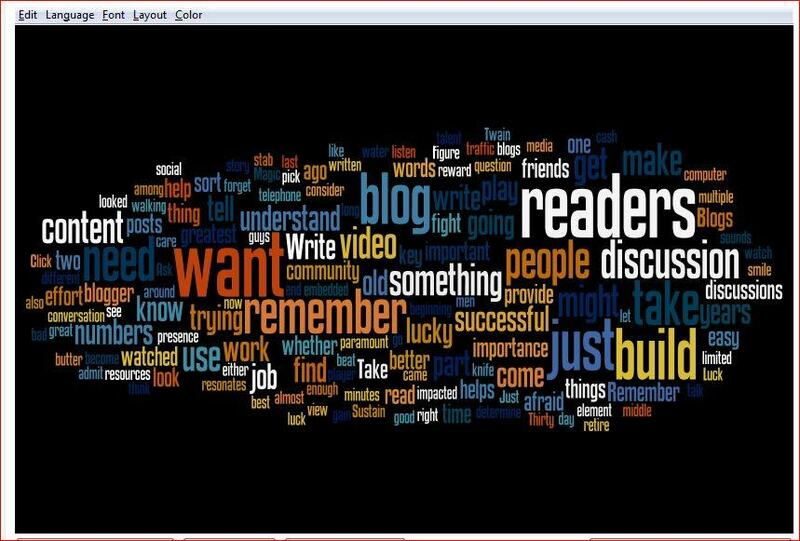 What I do know is that bloggers love to talk and read about blogging so these types of posts are a great way to generate comments. They are the low hanging fruit of the blogosphere. Trust me, if you write a post about how to make money from blogging it will be read. However if it is not chalk full of gold nuggets of content goodness you are going to wreak havoc on your bounce rate. People will run and gun their way through your blog and you don’t want that. Substance, personality and passion are how you capture a readers attention and begin to build community. One of the ways you do that is by writing posts that help people by connecting them with resources that they might not be aware of. The WordPress.com Support section is one of my favorite blogging resources because it provides an enormous amount of information for free and in a user friendly fashion. It is a great place to go to learn about the big picture and narrow focus items of blogging. If you want to know the difference between tags and categories you can find excellent definitions and explanations there. Want to learn more about Webmaster Tools or getting more traffic for your blog you can read through some great explanations there too. I am a frequent visitor to the section and highly recommend it. If you want to learn more about the ins and outs of blogging and do so at your pace it is a great way to do it. What About a More Personal Touch? Sometimes you might want a more personal touch or some visual aid. One way to do it is to search through YouTube videos where you will also find a wealth of information. However that can be time consuming and you can run into some challenges with videos that have technical issues or are produced by people whose command of English isn’t as strong as you might like. One potential resource you might consider is Bob Dunn. Bob is a wordpress expert and can probably answer most if not all of your question. Disclosure: I know Bob and his wife Judy strictly from our interaction within the online world. If you choose to work with them I don’t receive a dime, there are no affiliate links contained within this post. I am mentioning Bob because I am a fan of his blog and the video tutorials he provides. I find them to be useful and helpful. The point is, you don’t have to pay Bob to benefit from his services. I love the fact that he provides so much information for free and since I have benefited from it I felt it only proper to pass this along. Blogging doesn’t have to be a chore or a big mystery. The answers to our questions are out there and available. Don’t forget that in addition to the few resources I mentioned you can always ask your readers to answer these questions too. You never know who might be following along. Don’t be afraid to blog, tweet or ask about it on G+, someone will usually be able to help you. I don’t know Bob but now you’ve introduced me to his blog, I’ve added it to Feedly and I’ll make sure I take a look. I’m a Bob fan-boy too 😉 I’ve benefited from his info too and was lucky enough to have face-to-face chat with him … I learned a ton! An in-person chat sounds like a wonderful thing. I hope to do that one day too. Jon Morrow is a really interesting guy. I have to agree that he seems to have as firm a grip on blogging as anyone I can think of. Josh, thanks for sharing the resources with us. I am inclined to dig deeper if an individual offers helpful content for free. Bloggers trying to part folks for their money rarely get far. The other crowd prospers wildly because they share helpful free info, a paid series of products and naturally people pony up for these paid offerings. The people that give freely of themselves often benefit because it helps to build trust. People are quite appreciative of that sort of thing and like you said, rewards come from it. Wow Josh, I am truly honored. Thank you so much for the incredibly kind words. I love to hear when people benefit from my videos …. Makes it all worthwhile. You have made my day…..cheers! It is my pleasure and it is well deserved.